The underlying idea here is that China’s unique system of leadership under the Chinese Communist Party has been tested, validated and even vindicated by the country’s rapid development and newfound prosperity, and that this “model” — this “China Solution” (中国方案) — constitutes “an important consensus of global development.” The not-at-all-subtle implication is that it offers an alternative to the Western democratic governance model. But is it possible that China is vastly overplaying its hand? Is it possible that its confidence (particularly in the face of American retreat) is overheating into degenerative hubris? In fact, the vehemence with which China is now declaring its glorious return is itself a sobering reminder of the basic character of its “model.” China’s Leninist political system has a tendency in its DNA to melt the finer points of policy down in a white heat of enthusiasm. For evidence, we could turn to the most obvious examples of the pre-reform era, including the Great Leap Forward and the Cultural Revolution. But even after four decades of reform, the politics of the Chinese Communist Party remain fundamentally unchanged — and the growing cult surrounding Xi Jinping, recently christened “leader of the people,” is an illustration of its atavistic tendencies. Over the weekend, Sun Liping (孙立平), a professor at Tsinghua University, posted an article on his public WeChat account, “Social Observations” (孙立平社会观察), in which he discussed one of the most fundamental aspects of China’s form of governance — the “movement method.” This is essentially about the power to mobilize and direct all sectors of society toward a concrete policy objective, even if it means (and it always does) casting procedure aside. In China, the “movement method,” which, as Sun notes, marks a form of governance distinct from that of systems based on rule of law, can be seen in everything from the eviction of migrants in Beijing back in November, to the recent declaration of a “sweep the black” campaign against organized crime, to the official response to an isolated knife attack in a Beijing shopping mall last week. It can be seen in the elevation of Xi Jinping, and in the trumpeting of his flagship slogan — “Xi Jinping Thought of Socialism With Chinese Characteristics for a New Era.” It can be seen in the rollout of the Belt and Road Initiative (BRI). 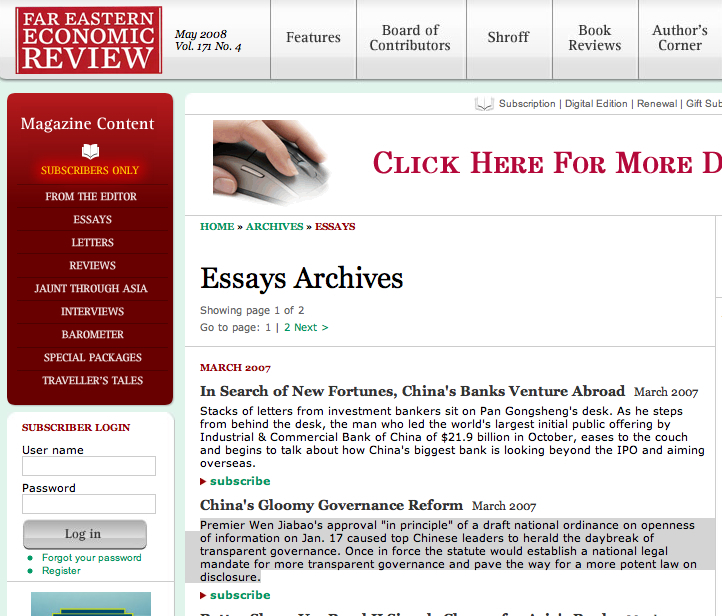 And it can be seen in China’s declaration of a “new era” for the rest of the world. If we seek to understand the true distinguishing characteristics of China’s “model,” this movement-style governance is an excellent candidate for the list. The information control so crucial to this style of governance — the narrative, after all, must be directed — is another important candidate. 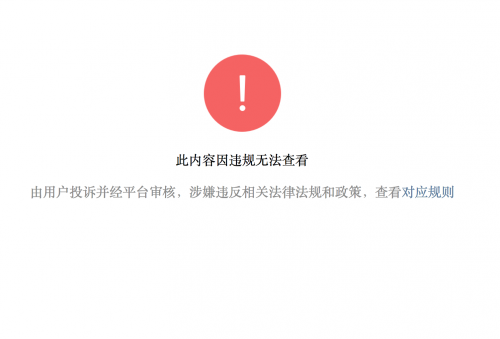 And right on cue, we find today that Sun Liping’s article has been removed from WeChat. No doubt it hit too close to home. Movements are an operational form of governance of life and society used routinely within certain systems. If we wish to understand how the movement method operates, we can first look at its opposite side. Generally speaking, in doing a certain thing, there are two basic methods of approach. The first is to act according to rules and procedure, proceeding step by step. The other is to employ the movement method, proceeding with great fanfare. In the former case, procedures, systems and rule of law are very important. In the latter case, power, mobilization and force are the most important factors. There are also grades within the movement method. In his early dissertation, the American political scientist Thomas Bernstein (伯恩斯坦) divided movements into two types. The topic of his research was the process of forming cooperatives in China and the USSR. He argued that the social mobilization used in the process of the Soviet Union’s collectivization drive could be called “command mobilization.” In the Soviet case, the enactment of rural collectivization relied on urban work team implementing forced measures in the countryside. Any rural peasants who resisted efforts the formation of communes were forcibly suppressed by the dictatorship. And so, the revolution in the Soviet Union was achieved through a process of urban uprising, and had more to do with a mass bass that was not deeply rooted in the countryside. The process of collectivization in China was different. The movement method employed in the process of Chinese rural collectivization can be labelled “participatory mobilization” (参与式动员). In the process of Chinese rural collectivization, while work teams were also dispatched widely, their primary role was not to force measures upon the peasants but to carry out propaganda and persuasion so that they came to recognize that the present situation with regard to land holdings and operation was unreasonable and not in their long-term interests — that individual farmers would see brighter prospects for the future only by taking the road of socialist collectivization. Through this whole process happened along with “visits to the poor” (访贫问苦) and “appeals to present prosperity” (忆苦思甜). The goal was to vest the peasantry with ideas of class consciousness, to elevate their political understanding. The result was to have peasants voluntarily opt in to the rural collectivization movement. This could also be seen at the time through the method of class struggle. In the USSR, major purges, including of counter-revolutionaries, were carried out by organs of dictatorship). But in China at the time, class struggle emphasized the participation of the masses, and it was carried out through a method of mass struggle (群众斗争). According to Mao’s ideas, the goal of this was to educate the masses and to elevate their consciousness. Of course, it also owed to the relative weakness of administrative organs. Regardless of which method a movement takes, all share a number of common characteristics. First, they have revolutionary inertia (革命的惯性), because movements are all in fact forms of revolution; second, their goal is to achieve a broad reordering of society, and this goal cannot without great difficulty be achieved through conventional means; fourth, [movements happen because] conventional means are not adequate, have insufficient capacity, prove generally ineffective, or are so riddled with problems that they cannot be reversed. Not all societies have the capacity for social mobilization or for the creation of movements. For the movement method to be possible, the first requirement is a certain kind of system. In this system, there must be a center (中枢) [or central administration] that is capable of mobilizing the populace, or that can efficiently direct the system of administration, or that can achieve both simultaneously. At the same time, the entire society must have a high degree of integration, or [a high degree of] linkage (联动性), so that in the process of social mobilization the whole of society can be spurred into action — and the condition necessary for action is entails all different sorts of organization, or administrative methods of organization, or some other form of organization. The combination of the above-mentioned institutional factors amounts to a nationwide system (举国体制), [or “whole-nation system”], so that whatever task is concerned the mobilization happens on a national scale, and the entire population is mobilized. Thereupon, a single word reverberates (一声令下), and the entire society acts together. But in this process, expert division of labor is smashed, and every department and unit has its own targets and quotas. For example, a number of years ago when many locales [throughout China] were promoting investment, offices including [chapters of] the Chinese Communist Youth League, the All-China Women’s Federation and the Department of Family Planning all had investment promotion targets, and if those targets were not met then the leaders responsible for those offices would be removed. Land reclamation and demolition is also achieved through this process of mobilization of [responsible] units (单位动员) — and even primary and middle schools employ mobilization, making primary and middle school students return home to engage their parent in ideological work. Some places even have rules about penalization by association (连坐的惩罚办法) [for example with offending parents or relatives, in order to force compliance with overall objectives]. When social tensions arise as a result of demolition and land requisition, the task of stability preservation (维稳) falls to a number of different departments. I have a friend who labors free of charge and without real authority for the China Association for Science and Technology, and even he has been issued quotas for house visitations to offer sympathy and comfort [in complaint cases]. During these visits, he must offer a bit of money as a means of placation, or if there is no money must draw upon his meager research funds. The result of this is the chaos of social functions throughout the society. In the midst of a movement, various offices and departments have no choice but to set aside the [normal] functions of their office and to engage in matters outside their own familiarity and expertise. In order to complete these tasks, and in order that the boss isn’t punished, these offices and departments must do whatever they can, by means fair or foul. Then we can observe the various stages in the exercise of a movement. If the movement is to be successful, these various stages are essential. Creating an atmosphere for success relies on creating the atmosphere first through a kind of environmental pressure, whether that means pressure over political correctness or pressure on moral grounds. The concentration and the surge, the mobilization of every possible resource to be mobilized, is half the battle. You institute harsh punishments and strict evaluation. Under these circumstances, magnifications and distortions are perhaps utterly unavoidable. An at-all-costs and through-all-methods ethos is something common to such movements. The result is that the negative effects quickly rise to the surface. One chop of the cleaver and a huge grunt, repeated wave after wave, and when the task is done you’re left with a single chicken feather. Sometimes, movement-style governance devolves into a competition between officials. You’re fierce, so I must be fiercer than you. You’re extreme, so I must be even more extreme. You did it in three days, so I must do it in one. 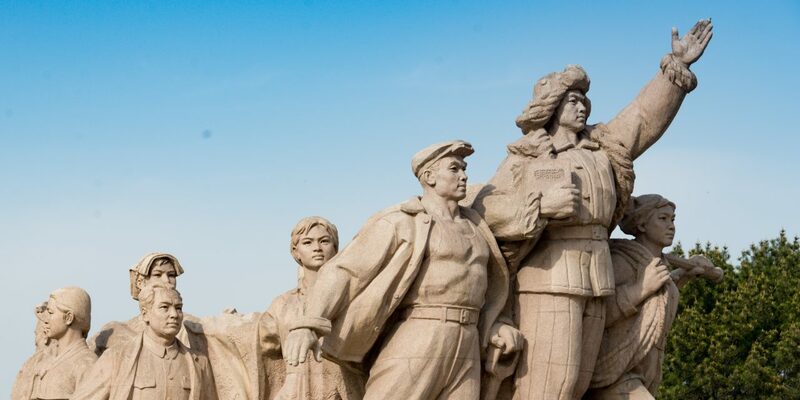 Where did the Great Leap Forward come from? Aside from the fantastical nature of the goals themselves, one very important reason was the wave-upon-wave logic (加码的逻辑). Periodic movements and routine inertia (常规性的惰性) often go hand in hand. The necessity of movement-style governance methods is directly related to general negligence, and directly related to the breakdown of regular procedures and rules that occurs in the midst of movements. Movements very often become a race to destroy the rules, and the result is that rule of law is destroyed. What of those original agreements? What of those contracts? What of those approvals that relevant departments previously signed off on? They mean nothing now. “Sell coal and we’ll arrest you, emit smoke and we’ll demolish your home” (卖煤就抓人，冒烟就拆房). In a banner such as this one [posted to deter air pollution], can you see even the shadow of rule of law? And when movements become a commonly used form of governance, they can very easily encourage an opportunistic mentality among officials to the point of making a complete mess of things. The good cadre becomes the one who stands out in the midst of the movement, and they are showered with favor and possibly promotion. Just as I was writing this essay, I saw two bits of news. This first said that after [leaders at] the top deployed their “sweeping black” campaign, certain provinces ordered that prosecutor’s offices at every level throughout the province must handle at least one case this year against organized crime (涉黑案件). The second said that there had been a knife attack at the Joy City Mall in Beijing, and that the City of Beijing had deployed 200,000 personnel to carry out patrols through the night. Moreover, official news sources said that beginning with the next day, starting the very next day, there would be deployed in Beijing a 700,000-strong security patrol force consisting largely of volunteers. Consider that number for a moment. Beijing’s total population is estimated at 20 million, and according to a perhaps somewhat exaggerated figure about 10 million people will be leaving Beijing during the Chinese New Year. How many people do you think will be left in Beijing? This calls to mind a metaphor that emerged during the stock market crisis of 2015. Imagine that someone who fears you and is by nature a bit hesitant is serving as your driver. You tell them how they should drive. You tell them to go just a bit faster, or that they should slow down. OK, so you want to go a bit faster? Well, let’s just push the accelerator to the floor. But all at once this is too fast for you, so you ask to slow down — we don’t want an accident after all. OK, so you’re scared, right? You want to slow down? Their foot goes off the accelerator and slams hard on the brakes. This, it must be said, is how it normally works with the movement-style approach. And herein we can glimpse some of the most basic secrets about how the movement-style model of governance (运动式治理) works.